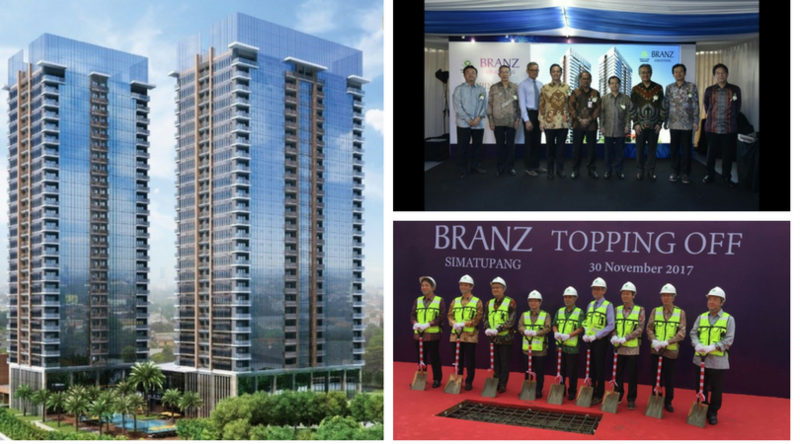 Branz Simatupang is a twin luxurious Condominium Tower project located in TB Simatupang, South Jakarta and recently held its “Topping Off” ceremony, attended by several local dignitaries and involved companies. The development consists of 26 storey in each tower plus a 3 level basement with total GFA 77,000 sqm. Branz Simatupang was conceptually designed by the holding company’s architects and engineers in Japan however design development and construction has been mainly covered by Indonesian based companies.